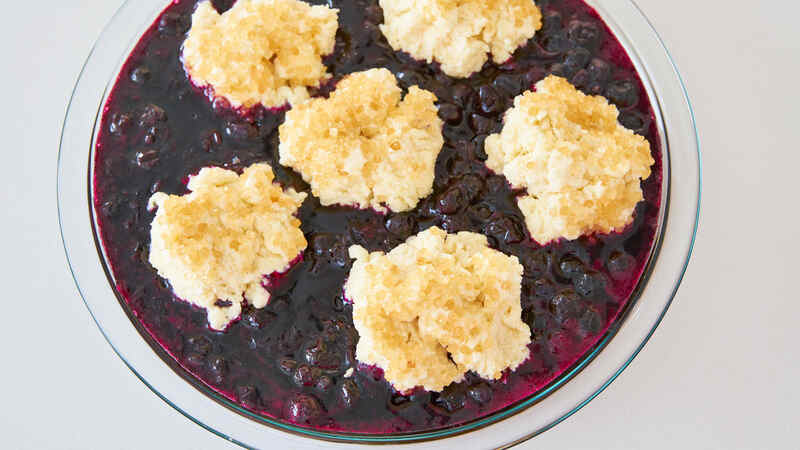 With a sweet juicy blueberry filling topped with buttery sugared biscuits that are crisp on the outside and fluffy on the inside, this blueberry cobbler recipe is the perfect summer dessert. When prepared correctly, cobblers are delicious both warm and cold, which makes them an ideal way to finish off a barbecue at home or a picnic in the park. It’s peak blueberry season, and after a recent move, I discovered a pick-your-own blueberry patch just down the street from our house. 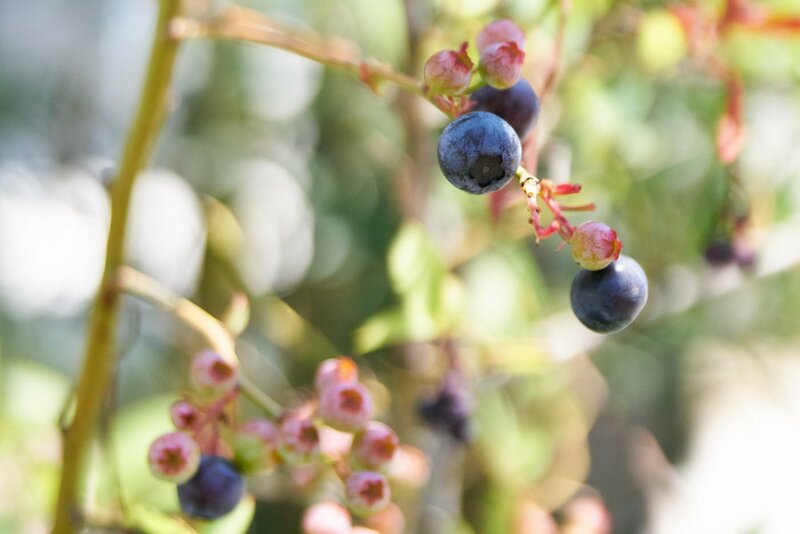 It’s not big, but with scruffy shrubs that are laden with giant succulent blueberries, it doesn’t need to be. We got a little carried away on our first outing there, and after consuming enough berries that I thought I’d plump up and turn blue like Violet Beauregarde, I decided to turn the rest into this delightful Blueberry Cobbler. There seems to be a bit of confusion about all the starch topped fruit desserts out there so I thought I’d take a minute to help clear things up. Cobbler – Unlike ice cream which most people can agree on a definition for, “cobbler” is a contentious patchwork of regional styles. These can broadly be divided into the batter camp and the dough camp. On the batter side, you can further subdivide into types of batter such as yellow cake, cornbread, and pancake, while the dough side can be broken up into groups like dumpling, pie, and biscuit. Although there are several theories around the origin of the name, the most likely explanation is that early cobblers were made with dumpling dough dropped into a fruit filling, which looks a lot like a cobbled street. 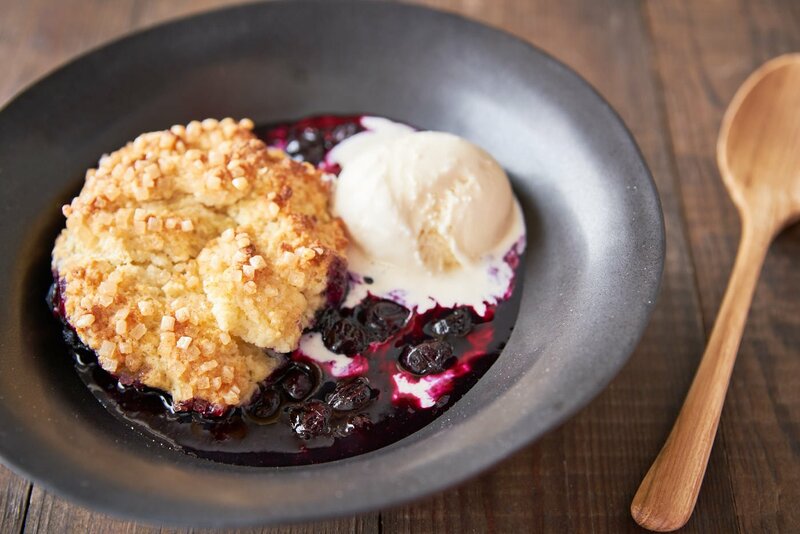 Without picking sides, the following recipe is for a biscuit-topped cobbler. Crisp – With a fruit filling topped with a crispy granola topping made with oats, sugar, nuts, and butter, crisps have a light, crisp topping. They’re also the easiest to make in this genre because you don’t need to make a dough to make the topping. Crumble – A Crumble is made with a fruit filling topped with crumbles of rich, buttery shortbread dough. Blueberries don’t have the most intense flavor, which is why I wanted to figure out a way to concentrate the flavor. The best way to do this is to cook the blueberries down to reduce their moisture content. Unfortunately, cooking them in the oven (especially when they are covered in biscuit dough) doesn’t allow for much moisture to evaporate, so the best you can do is add a bunch of starch to thicken the berries into a biscuit coating preserve. I got around this by precooking the blueberries on the stove. 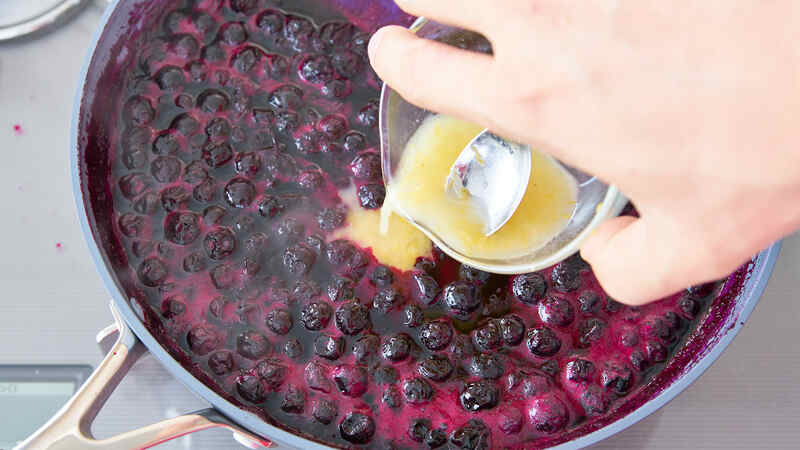 This allows you to reduce the berries by as much as you need to, concentrating their flavor. 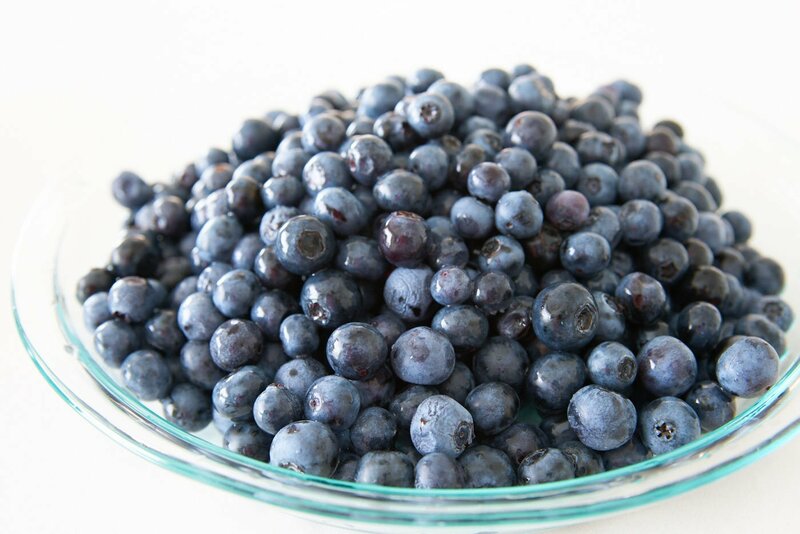 Because blueberries aren’t particularly tart, adding some acidity to them helps make their flavor pop. I did this by adding lemon juice (along with lemon zest) at the very end. As for the texture, I prefer my cobbler to have a looser filling which is why I don’t add a ton of starch. If you want a more gluggy filling, feel free to increase the amount of starch to a tablespoon or more. As for the type of starch, I like using potato starch or tapioca starch to thicken cobblers because it doesn’t cloud the fruit juices as cornstarch does. One of the reasons I’ve never been a huge fan of cobblers is that the biscuits are all too often an afterthought, like a scrap of bread thrown in, to sop up the juices from the fruit. To broadly categorize, most of my cobblers I’ve had have been topped with tough, dense pucks, or a waterlogged and mushy paste. 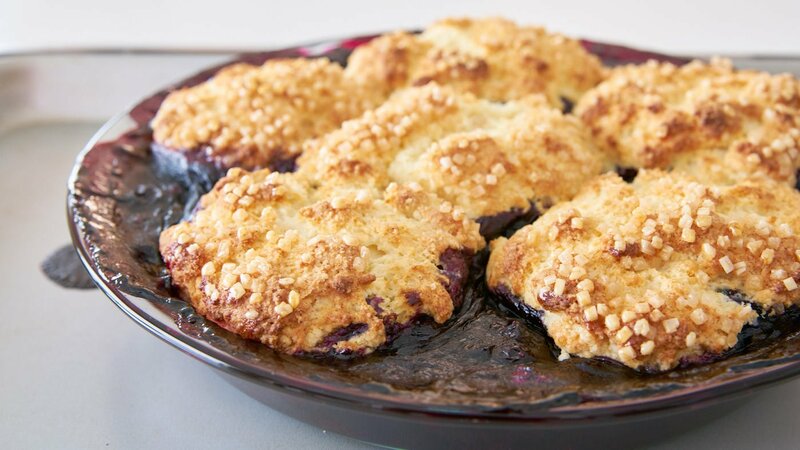 For my blueberry cobbler, I wanted tender, moist biscuits that are crisp on the outside and yet buttery and light on the inside. In addition to the texture contrast, I also wanted to have some variations in taste. By precooking the blueberries, you get around some of the pitfalls as the filling is viscous enough that it won’t make the topping soggy. Next, the trick to tender fluffy biscuits, as with most pastries, is to prevent the excessive formation of gluten. To understand how to inhibit gluten formation, you first need to know that gluten is a protein that forms when water is added to wheat flour, and the proteins glutenin and gliadin combine. Agitating this mixture causes the gluten to form a web-like network, which is why you knead dough for bread and pasta very well. For pastries where we don’t want the formation of gluten, you want to mix all the dry ingredients thoroughly before introducing any liquids. For these biscuits, we first combine flour, sugar, baking powder, baking soda and coarse salt. Low temperatures inhibit the formation of gluten, as does the introduction of fat which is why the next step is to cut in ample amounts of cold butter into the flour. Then, the mixture is chilled right up until the point when we add our liquid, which in this case is yogurt. 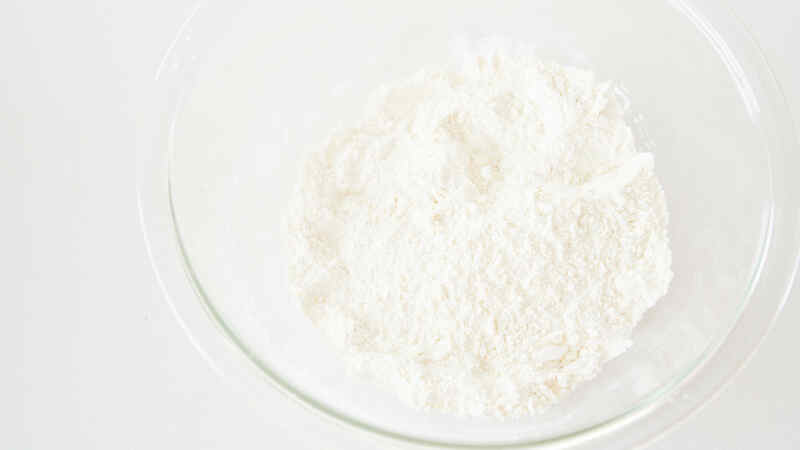 I like using plain yogurt for making biscuits because the acidity reacts with the baking soda to help the biscuits rise. It’s the same reason why recipes often call for buttermilk to be added to pancakes, but I always have plain yogurt on hand. Once you add the yogurt the clock on the baking soda and baking powder starts to tick, which is why it’s important to wait until you’re ready to put the cobbler in the oven to do the final mix. As for the contrasting tastes I mentioned earlier, I like using a medium coarse sea salt such as Fleur de Sel or Maldon in the dough. It doesn’t dissolve completely, which means you get little bursts of contrasting salt as you bite into the biscuit. Then, I roll the finished biscuits in a coarse raw sugar such as Demerara before plopping them into the blueberry filling. The combination provides alternating bursts of salt and sugar that pop in your mouth like fireworks for your taste buds. When the cobbler comes out of the over its mouth-scorchingly hot, so I recommend letting it cool for at least 30 minutes before serving it. This also allows the blueberry filling some time to set a bit, so it doesn’t run all over the place. I think cobblers are best served warm, but if you need to make this ahead for some reason, it can be reheated in a microwave for a few seconds (be careful not to overheat it). 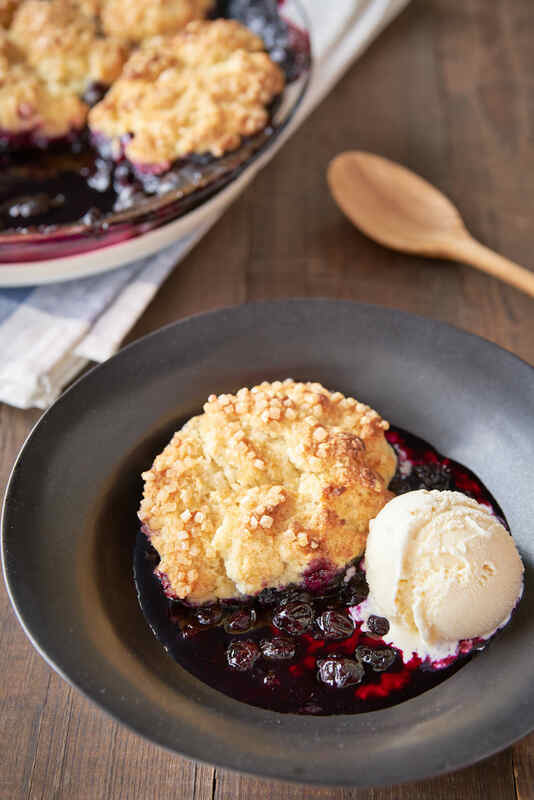 In addition to all the texture and taste contrasts of this cobbler, I love adding some temperature contrasts, which is why I serve my warm cobbler with a big ‘ole scoop of vanilla ice cream. If that’s not your thing, then whipped cream or even a glass of milk would work as an accompaniment for this summer treat. 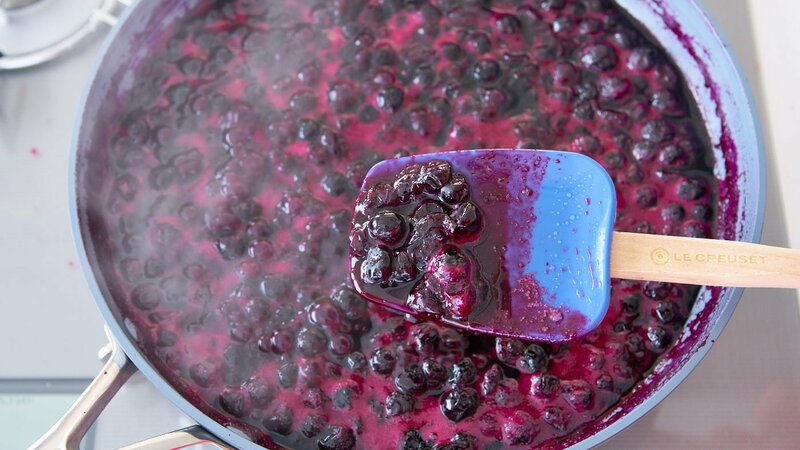 Add the blueberries and sugar into a pan and heat over medium-low heat until the berries begin to release some juice. Turn the heat up to maintain a simmer and cook until the fruit is tender and their juices start to thicken just a bit (about 20 minutes). While the berries are cooking wash the lemon well and shave the zest into a small bowl using a Microplane. Juice the lemon into the same bowl (you should have around 2 tablespoons of juice). Stir the potato starch into the mixture. 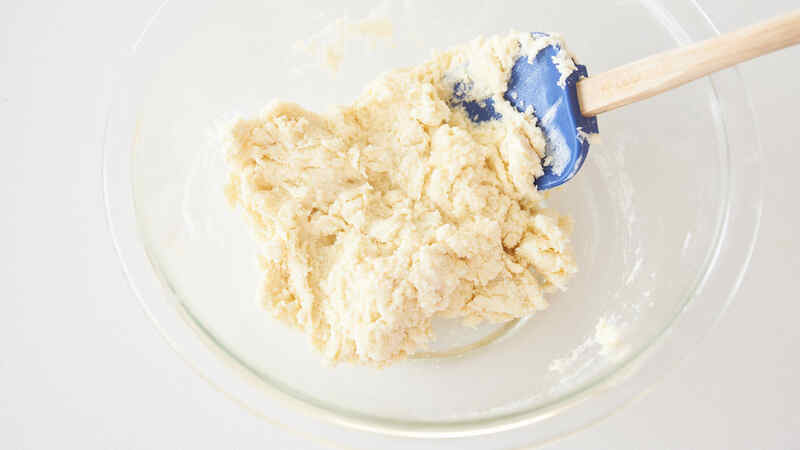 Prepare the biscuit dough by whisking together the flour, sugar, baking powder, baking soda, and salt. 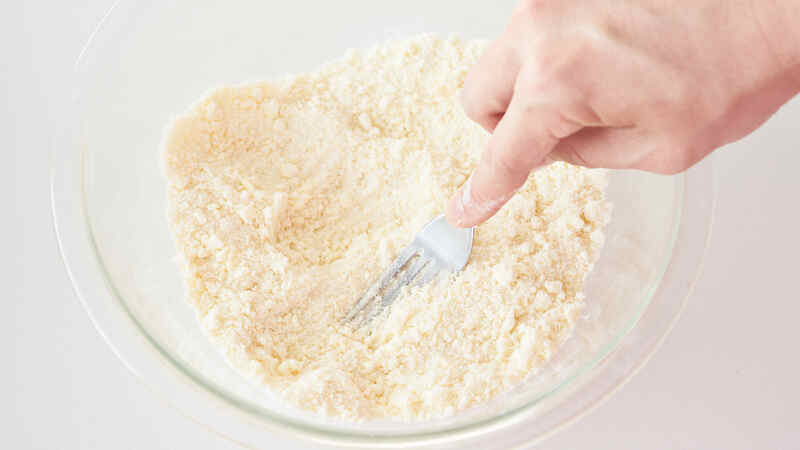 Use a fork or pastry blender to cut the cold butter into the flour mixture until a crumbly dough forms. Refrigerate until the berries are ready. When the blueberry filling has reached the consistency of maple syrup (the real kind), add the lemon and starch mixture and stir to combine. 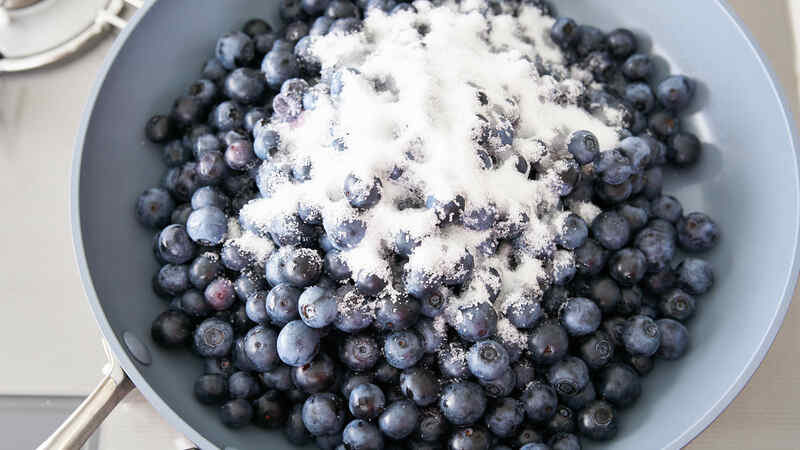 Transfer the filling to a 9-inch pie dish (or you can make the cobbler in the pan you cooked the blueberries in). Finish the biscuit topping by whisking the vanilla into the yogurt and stirring this into the flour mixture until the dough barely comes together. Do not overmix or the biscuits will end up tough. To assemble the cobbler, divide the biscuits into 5-8 balls and roll the top surface in the coarse sugar. Drop the biscuits on the blueberry filling with the sugared side up. Place the cobbler on a baking sheet and bake until the biscuits are cooked through and golden brown on top (about 15-20 minutes). 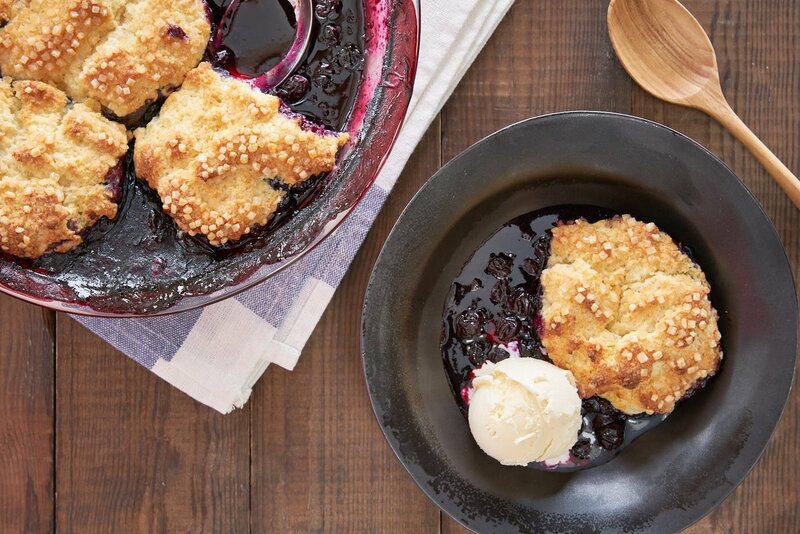 Serve the blueberry cobbler warm with ice cream or whipped cream. What if I dont have plain yogurt, can I substitute sour cream? Sour cream has a much higher fat content than yogurt so I’m not entirely sure how it will work, but I think it should be okay. Let us know if you give it a try. Haha yea, fat usually makes things taste better but when baking it can sometimes mess up the ratios. I’m pretty sure it isn’t a big enough difference in this case to make a huge difference though.